The number one topic and trend many CMO’s are integrating into their marketing mix is the use of social media. Marketers are trying to figure out how to get their brands invited to the social conversation, so they can do more marketing. In my view, social media marketing is an oxymoron. Think about being at a party having an enjoyable conversation with someone of like mind, then some annoying person interrupts your conversation to tell you how great they are and why you should engage with them. This is basically what most “social media marketing” really is. People hate being interrupted. Most marketers now hire some form of “digital” advertising agency to provide the expertise to execute marketing campaigns in the social media space. Here’s what most marketers and their agencies do not get – digital advertising is still advertising! Advertising is an interruption. More so within the context of our user controlled, crowd-sourcing social web. The social web is a real live conversation. It’s not a media pipe that marketers can own to shove messages through. As a “media business”, Facebook and Twitter (the most successful social platforms) are still not big money-making media businesses like their traditional cousins (TV, print, outdoor) have been. I’m not suggesting they won’t be highly profitable someday, but right now they’re not. GM’s recent decision to pull paid advertising from Facebook could be a harbinger of things to come. The reason is simple–the social web is by invitation only and marketing messages are not welcome. All of the social media platforms continue to struggle with the design of an advertising revenue business model that will not destroy the fabric of the social conversation they have thus far enabled. This is not to say that marketing messages don’t go “viral”– many do. Unlike the social sharing platforms, YouTube (and other video sharing portals) are now pretty close to being what traditional broadcast has always been. The only difference is the ability for people to pass the content links around. Sharing links is the social part. What makes content worthy of being shared is usually associated with an entertainment value, not necessarily the marketer’s embedded sales proposition. However, entertaining people is not enough to earn admission to the tribe. The Evian babies spot above is a good example of an entertaining viral message. Because of it’s paid-placement, the spot has been viewed by nearly 56.5 million people on YouTube. A case could be made that it was a successful test because the marketer has decided to roll it out into traditional broadcast media. To me, this is just traditional paid advertising re-purposed. I wouldn’t call this social media marketing because it’s not a two-way conversation. How To Get Invited To The Conversation. Marketers want to get consumers “engaged” with their brand, and the web is where most of us are these days. You don’t get invited to the real conversation by plastering blinking banners everywhere. Social media is about contribution and sharing, not selling. It’s about being an invited participant to a tribal conversation because you have first added value to the tribe. The best way to get invited is to be trusted. Brands earn trust just like people do– keep your promises, be cool to people, add value to the tribe first, make a difference over time. Nothing new here. 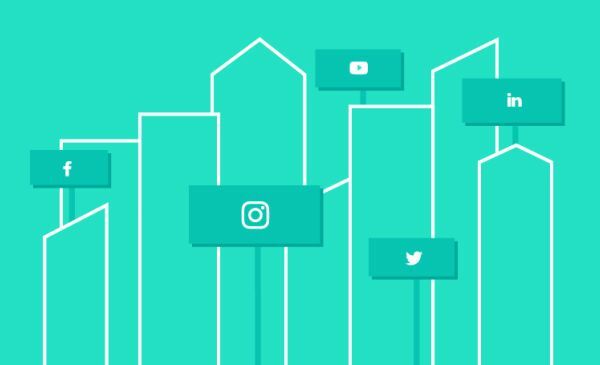 This post from Mashable The Social Media Guide offers an interesting story on how a few brands are using social media to create real world connections. You may find that interesting as well. When your value proposition is a welcome part of the conversation, it’s value will naturally be shared with others, When that happens you’re no longer marketing, you’re contributing. When you’re contributing you’ll be remarkable. We used to call this good ‘ol word-of-mouth. How is your brand contributing to the tribe in which it seeks to belong? Thanks for the posting. I agree that there is a risk that brands are blundering into social media and forgetting it is not like shouting and interruption, as traditional media channel ads are. I think they key is for brands to be there to answer questions and queries, and then to help those that love the brand to get their message out…. versus seeing it as a talking to channel as you say! I think social media represents a chance for marketing to get back to its roots. Marketing should be about finding, understanding, and integrating with your market, not broadcasting messages (that’s for advertising, in my mind). Because any market is made up of people, marketing is inherently social. It’s just easier to pay lots of money to blast out messages than to actually interact with and understand people. I hope we’re on our way back to a focus on the market, not the message! Social media is an odd term because media has always been social. “Social” does not describe what media is, instead “media” describes the means of socialization and our relationships built through the content brands produce. In the practice of marketing, we should always be using human engagement and dialogue to drive customer preference and loyalty. That’s never changed. Long live the relationship.